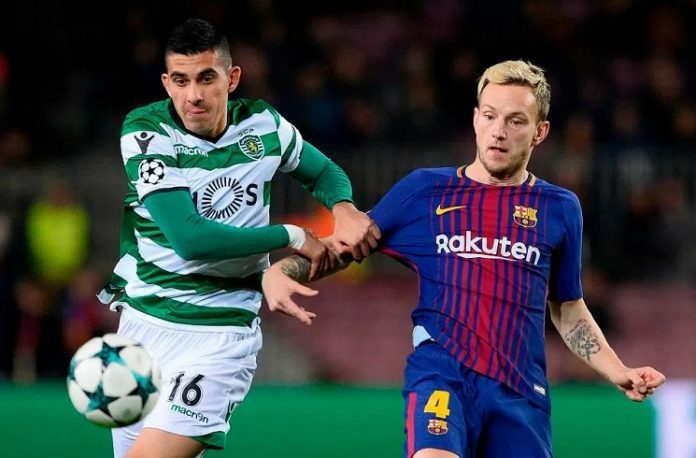 Rodrigo Battaglia fighting for the ball against Ivan Rakitic. Argentina National Team coach Jorge SAMPAOLI has reportedly met with Rodrigo BATTAGLIA. The Sporting CP man has been in fine form this season and a few fans have been asking for him to be included in the Argentina team for the FIFA World Cup. Per a report by Martin AREVALO of Sportia, the Argentina coach met with BATTAGLIA. With the injury to AC Milan’s Lucas BIGLIA arriving at a crucial point in the season, it could be that the SAMPAOLI is looking for a possible replacement. I think Battaglia could also play as a right back. As DMF he was very good against BARCA in the champions league. Its worth including him in the WC squad. I can’t understand why sampaoli always gives priority to players like biglia, masche. I heard sampaoli was looking forward to omitting masche. Mascherano is a legend but as far as his form is concerned he should not be in the squad owing to his poor form. 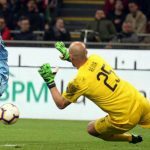 ARQUEROS: Sergio Romero, Franco Armani, Nahuel Guzmán, Agustín Marchesín & Wilfredo Caballero. DEFENSORES: Gabriel Mercado, Federico Fazio, Marcos Rojo, Nicolás Otamendi, Nicolás Tagliafico, Fabricio Bustos, Ramiro Funes Mori/Germán Pezzella. 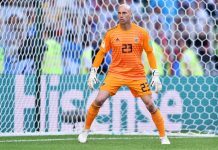 VOLANTES: Javier Mascherano, Eduardo Salvio, Marcos Acuña, Leandro Paredes, Erik Lamela/Emiliano Rigoni, Matías Kranevitter, Ever Banega, Pablo Pérez, Enzo Pérez, Lucas Biglia, Manuel Lanzini, Gio Lo Celso, Maximiliano Meza, Angel Di María, Diego Perotti, Guido Pizarro/Rodrigo Battaglia. 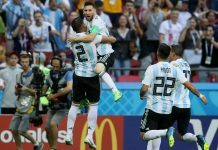 DELANTEROS: Lionel Messi, Sergio Agüero, Gonzalo Higuaín, Paulo Dybala, Lautaro Martínez, Mauro Icardi & Cristian Pavón. Good overall. Rojo & funes muri should be out. Even their club coaches are not playing them. They will be horribly not ready for a competitive match . Ansaldi shld get a chance. Apart from that it is a good list. 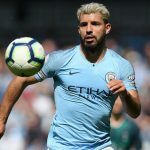 The words from Aguero’s Father ”It was all very fast. My wife sent a message to him in the morning. He is going to miss one month, the conditions are there to make him come in quite well,” said Leonel del Castillo to Radio Continental. ”It was all urgent, never had anything planned to be done. The doctors of the club had recommended him to the doctor who operated him. 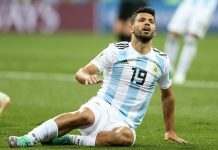 Based on the pronouncement of Leonel del Castillo, it means Aguero will miss the rest of the season but will be fit to take to the Krestovsky Stadium, Saint Petersburg pitch when the Super Eagles face off against the South Americans at the World Cup on June 26. So until the last group match against Nigeria, Aguero won’t be physically fit; In the crucial knockout stages do the manager need to take risk with a player who won’t be match fit and hasn’t played for almost 4 months? What about Franco cervi. Is Franco cervi a good player both creative and defensive? Franco cervi is more of a left winger/midfielder. We already have too much options there.acuna, di Maria, perotti. He dosent have a chance this time. At the end a couple good players will miss out. the fans will never be a 100 percent happy. I think they’re all great players but someone will miss out. without players like Biglia, Mascherano, Higuain (Rojo and Mercado to an extent since they just had a horrible season with their clubs) the player selection would be less of a headache. But we all know they’re there because of their experience. Meza and Enzo Perez must be included in the final 23. I think we will need atleast 4 CBs. Rojo can be replaced by Pezzella. Mercado always gives an option for both RB and CB, Otamendi and Fazio should start in 4-3-3 but if it is 3-5-2 it should be someone more solid like Garay (not sure if he wants to play) or Pezzella. Battaglia or Masche should play DM along with two youngsters like Lanzini and Le Celco or Meza. Looks like DiMaria Messi and Augero would be the forward line, I hope Sergio Augero is fit throughout..he is a beast when fit..has good link ups with Messi..
It’s high time. We need atleast one of Battaglia, Ascacibar, Marcone. I take Battaglia. He may play DM, CM, box to box and RB what is important and give us one more option after Bustos and Mercado. First of all we need destroyer. Good news and appreciate Sampaoli eagerness looking for right player. The team need reliable CDM, Battaglia can be a good replacement for Biglia. It is never too late to keep improving and finding the in form players. Hopefully the 23 players will be selected according to their fitness, form and collectivenes of working together as one team. True. But isnt Sampoali already looked into million players? Are million players allowed in WC squad? I really hope, Sampoali has system in his mind to play during this WC and is looking for players who fits those style rather than looking at new players for no reasons. Thanks.